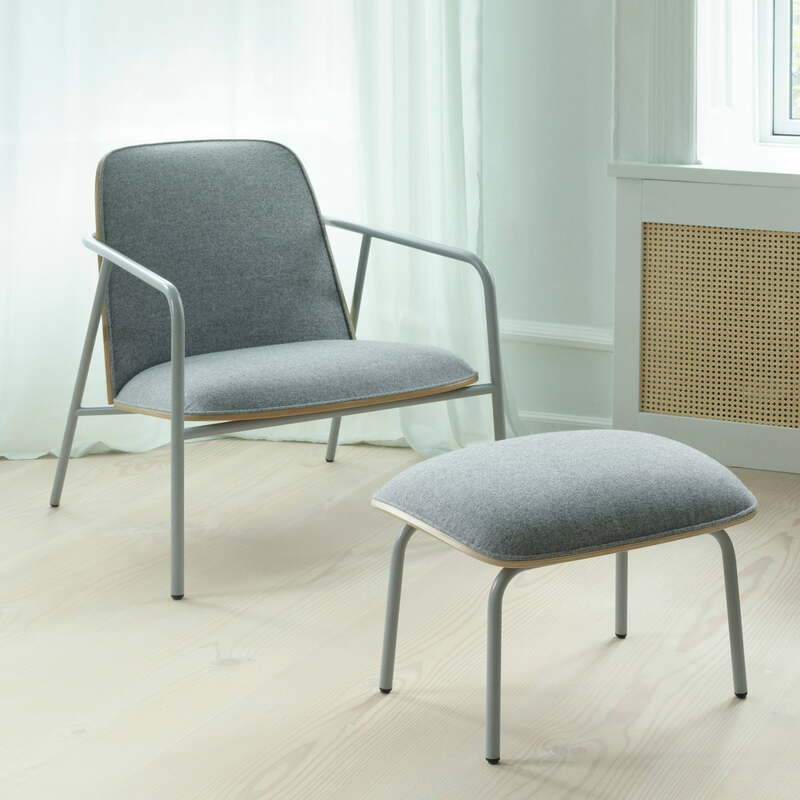 The Pad Lounge Chair by Normann Copenhagen convinces with its shaped shells made of oak veneer and steel frame, which contrast with the upholstered front. Designed by Simon Legald, the lounge chair combines classic and contemporary forms to create a streamlined armchair with comfort. The Pad Lounge Chair consists of a sturdy steel frame in which sections of solid oak veneer form a backrest and a seat. The upholstery is made of moulded foam with textile covers in various colours. 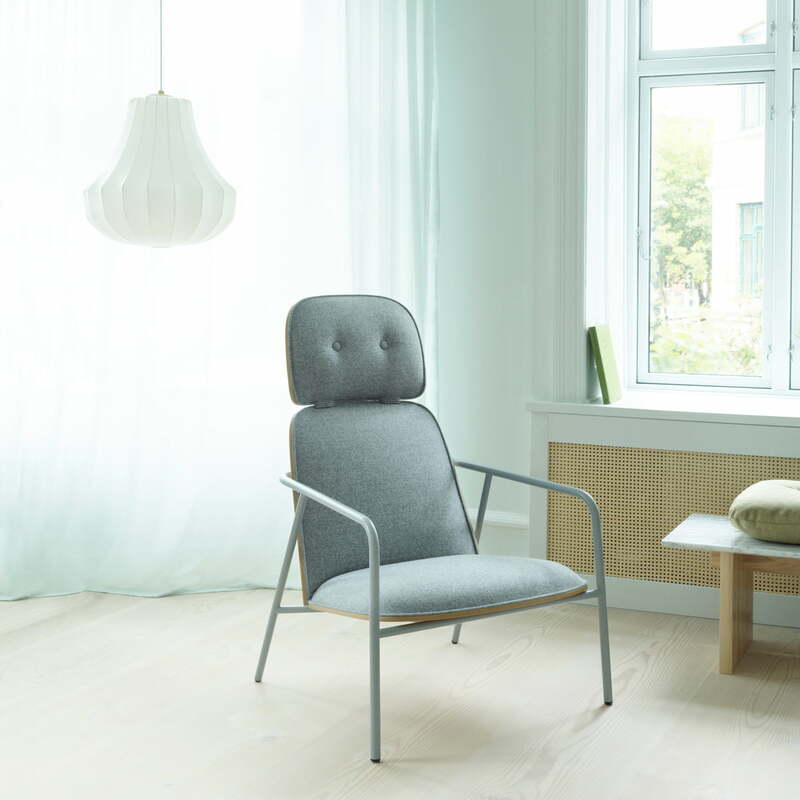 The Pad lounge chair is also available in a high and a low version. Thus the chair adapts optimally to any ambience. Its upholstery and curved shells ensure a high level of comfort, while the steel frame makes it appear light at the same time. A matching footstool completes the Pad series. 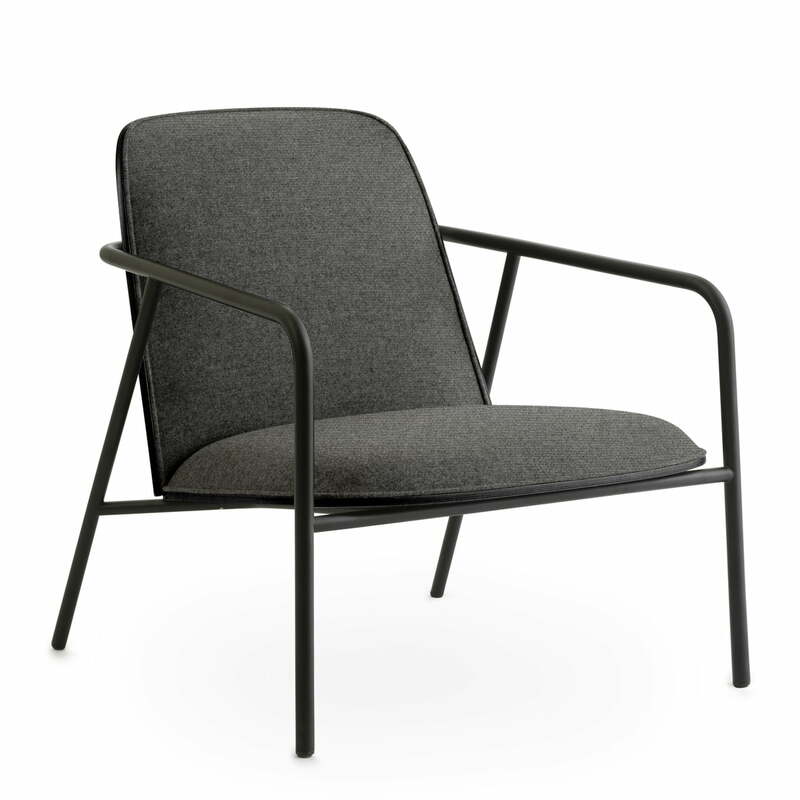 The Pad Lounge Chair with a low backrest by Normann Copenhagen with a steel base in black, a seat shell in oak wood in black and the cover Main Line Flax 2 6. The Pad Footstool by Normann Copenhagen is the perfect complement to the Pad Lounge Chair low. Lounge chairs and footstools vin Simon Legald were designed. 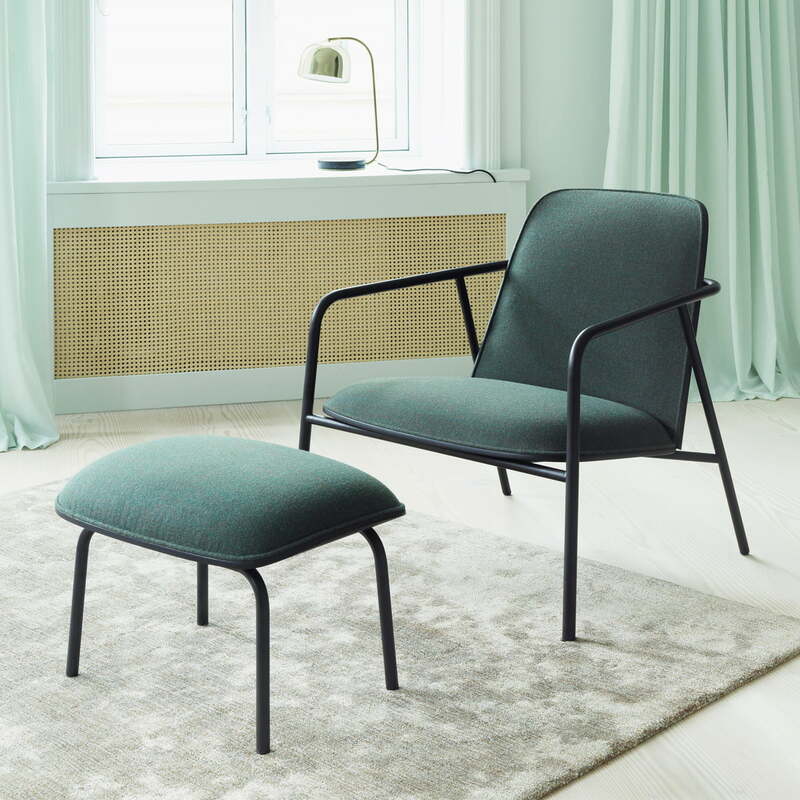 Available in different colours and with different covers, the Pad footstool fits perfectly to the Pad Lounge Chair by Simon Legald for Normann Copenhagen. Phantom pendant luminaire and Pad Lounge Chair from Normann Copenhagen in the ambience view. The luminaire looks great behind the Pad Lounge Chair with high backrest.